We are delighted to announce the arrival of another new Hedgehog Bus. As a result of a government initiative to support volunteer-run community bus organisations, we have received a grant to buy a new bus, and it arrived this week, and has already done its first service runs into Stratford. 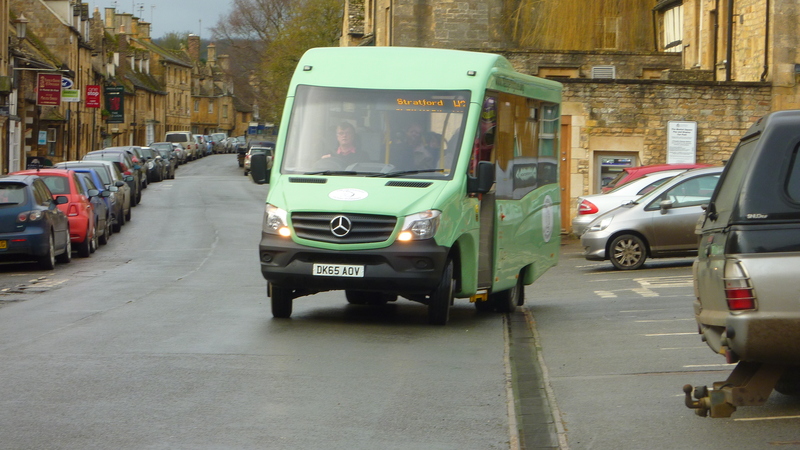 It is seen below on its first day in Chipping Campden. This has enabled us to “retire” our oldest bus, which has done 8 years good service.